League 1 may not have the likes of Charlton Athletic, Sheffield Wednesday or Huddersfield Town anymore but there are still some big teams with big budgets in the division and this makes it very hard for the promoted teams and those with lower budgets to have a good season. But it is definitely one of the relegated teams from the Championship that are the favourites to go down. 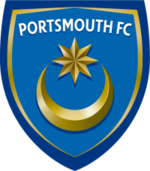 Portsmouth are in a lot of trouble and are barely still alive as a club never mind one that is in the third tier of English football. Who knows what their starting 11 will be at the start of the season and how many of them have any experience whatsoever. Manager Michael Appleton has the potential to be a good manager and will obviously come out of this with credit but he is fighting a losing battle. 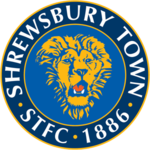 Next are a team that have just been promoted to the league and that is Shrewsbury Town who have had an interesting summer with a few key players departing in particular one of their strikers James Collins who may have scored the goals to keep them up. So they will have to hope that Marvin Morgan, Terry Gornell and Ryan Doble can do the business in League 1. They have possibly their toughest fixture of the season first which is Sheffield United away so at least that will be out of the way early. 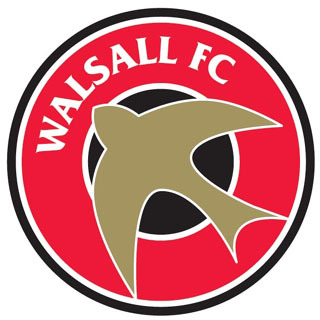 Walsall have been in League 1 for a number of years now and seem to be one of the clubs that will always finish towards the bottom half of the table but avoid relegation and it could be the same yet again. Their top two scorers from last years, Jon Macken and Alex Nicholls have left the club and they weren’t exactly prolific themselves so it is easy to see where they need improving and hopefully their 1-0 win over Brentford in the Capital One Cup will give them the confidence to go on and compete for a place higher up in the table. 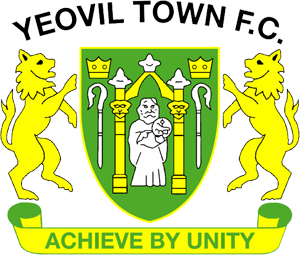 Yeovil are another club that seemed to be struggling at the moment and may have a long season in front of them especially as they have lost their main man from last year, Andy Williams, who scored 16 goals in 35 league games but decided to join league newcomers Swindon Town. They have brought in James Hayter and Reuben Reid who I think can score goals at this level so if they remain solid at the back it will be another season in League 1 for them. 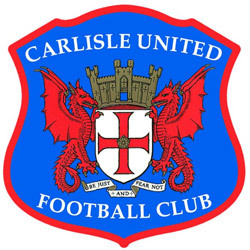 A surprising team that are tipped for relegation are Carlisle United because at times last year they looked good and were playing some decent stuff under Greg Abbott but they are another team that has lost one of their better players in Francois Zoko. They still look like they have a good enough side though and should be considered an outside tip for promotion through the playoffs because they have Frank Simek, Jon-Paul McGovern, Matty Robson and Lee Miller (if he can stay fit). Four teams get relegated from League 1 so obviously there are more contenders but I see these with the exception of Carlisle to be the ones that struggle the most and are in a relegation battle come the end of the season. 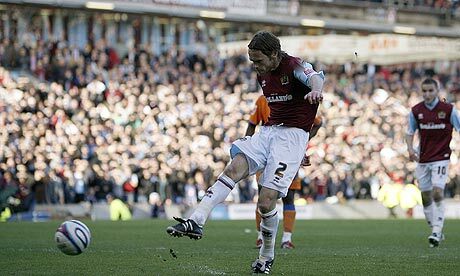 Graham Alexander has retired from professional football after a fantastic career which has seen him play for four different clubs as well as represent his country. Alexander also became only the second outfield player to play over 1000 professional games during his career. For every club he played for he played a minimum of 150 league games which just shows how brilliant and consistent he has been since his debut for Scunthorpe United in the 1990-91 season. Remarkably, in the very next season he became a first team regular and was virtually an ever present for the team for the next four seasons. Even though he was usually deployed as a right back or a holding midfielder he could also score goals and in his 159 league games he got 18 goals. Luton Town was the next club he signed for and continued to play in most games for them too. His £100,000 price tag did not faze him and there was no doubting his commitment for the cause with him playing 152 league games and added 15 goals to his career tally. Although his first season ended in relegation he stayed with the club in the old Second Division and played over 50 games for the first time in his career, the first year they were down in the Second Division. Unfortunately for him and the club he could not help them get promoted and joined Preston North End in the 1998-99 season. In his second season at the club he helped the club gain promotion to Division One after scoring 10 goals in 58 appearances. It is not very often you get a player that can score that amount of goals from the positions he played for the club. After securing Preston’s place in the league for a number of years, he was appointed club captain and was taking all of their set pieces including penalties which accounted for many of his goals. During his eight years he did not suffer many injuries and was able to play in most of the games and was one of the first names on the team sheet. He made exactly 400 appearances for the club and was named in the PFA Championship’s Team of the Year in the 2004-05. But he did eventually leave the club for rivals Burnley which was seen as slightly controversial and a little strange after he had turned them down earlier in his career. The transfer was completed for £200,000 so Preston could not really complain after all the years of service he had given them. At the age of 37 he gained promotion to the Premier League for the first time in his career and played in an amazing 61 games in all competitions that season and in the next season became the oldest player to make his Premier League debut. In his only season in the Premier League he scored seven goals in 33 games and was one of their better players in a season which ultimately ended in relegation. For Burnley, he played in his 1000th professional game when he came on as a sub in a game against Swansea City. He left Burnley and returned to Preston North End where he has ended his career. To make it even more special in his very last game in his career he scored against Charlton Athletic which both supporters applauded. It was a fantastic career and he will be proud of every moment of it and I am sure the fans will have some wonderful memories of his time at their club. Alexander will also be proud of his 40 international caps for Scotland and his only disappointed will be that he didn’t score for his country. Charlton Athletic have won promotion to the Championship after beating Carlisle 1-0 and Sheffield Wednesday could only draw away to Colchester United. It has been a remarkable season for Chris Powell and his team as they currently have 94 points and with three games still remaining will be hoping to finish the season with over 100 points. Manager Chris Powell was already a legend at the club after playing more than 200 games for them and the man with five England caps will be very pleased with his work as a manger so far but knows that it could be a much tougher test next season but will be hoping to replicate the likes of Norwich City and Southampton. This being his first managerial job, it would have been acceptable if they did not gain promotion this season especially when he had to sign 19 players in the summer but the season started brilliantly and he has now won 50.68% of his 73 games in charge. 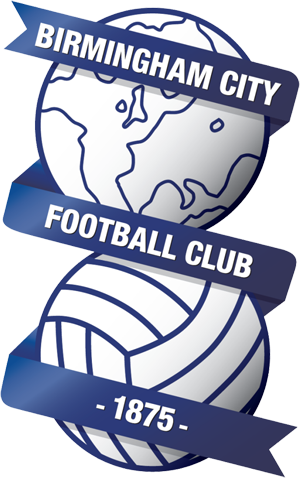 Looking to the future, can they survive in the Championship with the current squad? I think they definitely can because they are clearly the best team in League 1 and if it wasn’t for a blip in the last few weeks they would have been celebrating a title win earlier than this. They haven’t quite won the title but it most certainly a question of when rather than if. There team has a lot of potential and it has came together quite nicely, in goal they have Ben Hamer who is arguably one of the best in the division and has been vital to the team all season. The defence has a mix of talent and experience but Powell has showed his managerial expertise by giving a few players another chance at this level. One of them being Michael Morrison who has played in every league game this year contributing five goals in the process. Morrison was a player who had a lot of promise when he was at Leicester City but when he moved to Sheffield Wednesday he did not have the best of times and was prone to mistakes which is why it is quite surprising that he has been exceptional for the team this year. The midfield has a lot of players that will battle for every ball and show a lot of commitment, add this to their undoubted ability and you can understand why Charlton are comfortable leaders. Dale Stephens, Danny Hollands and Danny Green are all good players at this level and in my opinion would not look out of place in a Championship side. But the pick of the bunch is Johnnie Jackson who not only contributes goals from midfield but also delivers some really good balls into the box for strikers to attack. He has had a strange career as he hasn’t really settled anywhere but maybe now he has matured and has show that on the pitch. When you have that quality in the midfield your strikers are bound to score goals and Bradley Wright-Phillips has done that all season with 22 goals. His pace and power has been too much for some defences this year and if he can replicate his form from this season then it would not surprise me if he was a front runner for top goal scorer next year in the higher division. Another brilliant piece of business by Powell was the signing of Yann Kermorgant who hasn’t really had the best of times in England but the faith Powell showed in him must have given him confidence as he has scored 10 goals in 34 league games. With a few additions Charlton could be a real force next season and they are a big club so I am glad they are on their way back up. Chris Powell has been their best manager since Alan Curbishley in my opinion and if he can have the same sort of success then he will have a very good career as a manager. 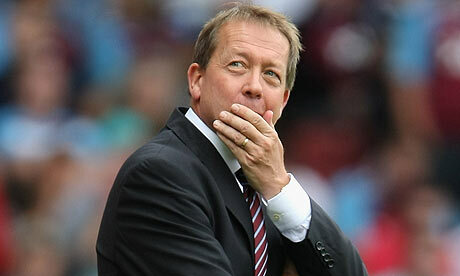 Who will be the next Notts County manager? Martin Allen has been sacked as manager of Notts County after a 3-0 away defeat against Hartlepool. This result however, was quite surprising and makes the sacking seem a little too hasty as the team had won their previous two games before their trip to the North East and was their first in five League 1 games. The defeat left them in 11th place which in my opinion is not a bad position for a club that have had so many recent financial problems and have been through quite a few managers in a short space of time. In his 10 months at the club he won 38% of his games and may have been looking for a playoff place next season. But, obviously this was not quick enough or good enough for the board so they gave him the chop. Keith Curle is the clear favourite to take over but his past does not seem to suggest that he will do a better job than Allen as he has mostly managed in League 2 with only moderate success. Also suffering relegation out of the Football League with Torquay United and losing 11 out of 12 games at Chester City, makes his CV look even worse. However, he has done a good job as Neil Warnock’s assistant manager and if he doesn’t follow him to Leeds United then he may be able to use this experience to make him a better manager as well as loan a few players from his former mentors club. Another character of the game, Steve Evans, is linked with the job because of his fantastic work at Crawley Town. But he has had money to achieve his and the board’s ambitions which he probably won’t have at Notts County and therefore it would be interesting to see how he did both at League 1 level and under these different circumstances. Crawley are looking for a second consecutive promotion and he will probably want to stay with the club and get them into League 1 because he will feel as though they have enough ability to gain a third promotion on the bounce. So, it would be difficult for County to persuade him to leave but if they do then he will certainly add a bit of fight and passion into their club, however, it could be argued that Martin Allen had already given them that. He isn’t the most likeable of people which may work against him but he probably doesn’t care as long as his team are getting results and isn’t this the most important thing? Lee Clark is available at the moment and he might want to jump straight back into football and with him being sacked by a fellow League 1 club, he probably won’t be offered any jobs higher up and will have to try and build a side again at this level. If he was given the opportunity at Notts County he will have to be given time which other recent managers have not and this may put him off the role. He may enjoy the challenge and simply just want to get one over Huddersfield Town by getting another team promoted. 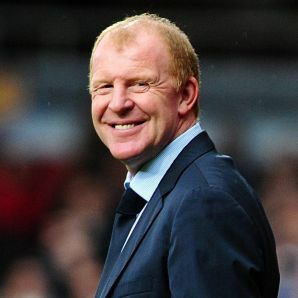 I am unsure about who they should give the job to but they surely have to give them more time than they gave Allen because he was slowly and surely taking the club in the right direction and in my opinion when some of the bigger teams in the division such as the two Sheffield clubs and Charlton Athletic disappear they would have had a genuine chance of promotion. The next manager needs a quick start or they could be in the same position again 10 months down the line. Who will be the next Huddersfield Town manager? Huddersfield Town have sacked their manager Lee Clark somewhat surprisingly as it looks as though Clark was leading the club into the playoffs again this season. Maybe this wasn’t good enough but I believe that the board have made a strange decision because there are bigger teams in the division this time around and they are all above them. Charlton Athletic, Sheffield United and Sheffield Wednesday are all above the Terriers and these clubs all have recent Premier League history and therefore it is not such a bad thing being behind them. They may have sacked him because even though they went on that fantastic run, Clark was reluctant to attack and win games and just took the draw which isn’t always a bad thing but they have challenged at the top of League 1 now for years and to finally get them promoted they may need somebody else that is willing to take the risk. Or has he been sacked because he wanted to take the Leeds United job? But anyway, let’s look at the options they have available to them to replace Clark. Neil Warnock’s name is obviously going to be on tip of everyone’s tongue because he is available and has worked in Yorkshire before and has a fantastic record of getting teams promoted. He has managed at the club before and won promotion through the playoffs in the same tier of English football therefore he knows what is necessary and will know what the fans want at this club. 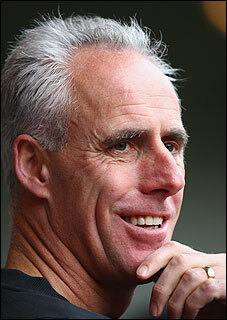 However, at the minute he is linked with a lot of jobs and could probably do a good job at any of them. It will be difficult for Huddersfield to attract him to a job in League 1 but if they could, they would have a fantastic manager on their hands and success would surely follow. Simon Grayson, the recently sacked Leeds manager is another of the bookies favourites to get the job and like Warnock he has gained promotion from this division before with Blackpool and Leeds so knows exactly what is required to get a team out of this division. He would be a very good choice as manager it is just whether he would want the job because I feel he could get a Championship job if he waits around for one but maybe he wants to get straight back in to football management. But there is a lot of potential at Huddersfield and Grayson is usually pretty good in the loan market and that is usually very important in gaining promotion from League 1. Finally, I would love to see Billy Davies get back into football management because he has now been out the game for a little while and I think he would enjoy the opportunity to build something at Huddersfield and he would definitely have the chance to do that. He did a very good job at Nottingham Forest and his teams are always challenging at the top of the table and he may give the players that extra boost to finally get them promoted after years of trying. Is he an unrealistic target though? There is a chance for a manager to do something amazing with Huddersfield Town but will the club be able to attract the best managers to League 1. 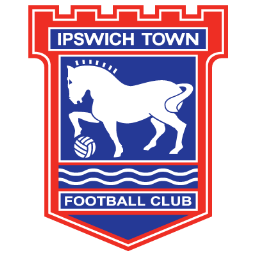 If they can’t they may have to rethink their ambitions because I cannot see another manager from the lower leagues do a job as well as or even equal to the job Lee Clark has done. They have probably pulled the trigger too quickly and should have waited till the end of the season because they are still in with a very realistic chance of gaining promotion.